Orienteering is finding your way to a series of check points (‘Controls’) circled on a map. It is a competitive sport with the winner being the fastest to complete the course. A challenge for both mind and body. Competitors decide their own route between the control sites which are marked by a red and white flag. The terrain has traditionally been forests, moorland and other wild countryside. Urban events, e.g. in parks, college campuses and town centres, are now becoming popular. Competitors’ ages range from 5 to 85 with fitness varying from elite athletes to casual walkers. Elite runners aim to shave seconds off their time, whilst slower competitors may be content with the satisfaction of accurate navigation regardless of their time. The maps use symbols and colours to consistent international orienteering standard. Events usually offer a range of courses with different distances (from 1.5km to 12km) and levels of difficulty starting with very easy path routes. At most events competitors start at minute intervals over a period of an hour or two. Most competitors’ times on the longer courses are under 90 mins. There are also sprint events with short fast courses. 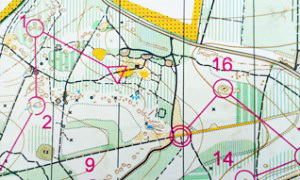 Take a look at the Newcomers Guide on the British Orienteering website for more information: (opens in a new window). You can start by visiting a permanent course to try it out on your own or as a group. There are a number of these in Leicestershire parks and woodlands. Maps can be requested via the permanent course link. Leicestershire events always include courses that are suitable for beginners and children. Club officials are always pleased to advise and assist newcomers. It can be helpful to let the event organiser know beforehand, so somebody can look out for you. Events are at weekends all year round and on weekday summer evenings from Easter to late Summer. Please arrive early to your first event to give plenty of time to prepare and to participate. See the fixtures list for forthcoming local events. Club & Activity Nights during term time can introduce you to some training and fun activities as well an opportunity to meet some club members. All LEIOC events are suitable for youth groups. Please notify the event organiser if you plan to bring a group to an event, so that sufficient equipment and maps can be made available. 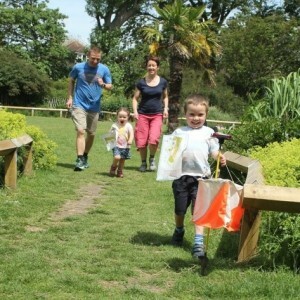 Permanent Orienteering Courses are an ideal way to try orienteering at times and places to suit your group. 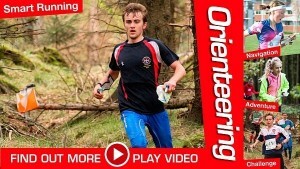 See the School Orienteering page for advice and to get our schools newsletter. Your clothes and shoes should be comfortable for running or walking and suitable for the terrain. Terrain can be muddy, uneven, and sometimes have brambles or other rough undergrowth. This means full leg cover is required and shoes should have a good grip. For urban events, the event details usually indicate what kit is suitable. Beginners’ courses for children follow linear features such as paths so do not need compasses. Adults will find a compass helpful, but advisable to get advice, or borrow and try, before buying your first specialist orienteering compass. You can normally enter beginners’ courses on the day. However, if you inform the organiser in advance, they can ensure that somebody is available to help you. When you arrive seek out the registration or enquiries point, which may be an official’s car or tent. Explain that you are a beginner and someone will help explain the map, start procedures, timing system and give any other advice you need. At larger events such as the East Midlands League the courses are designated a colour that relates to their distance and difficulty. See the table below for suitable course to get you familiar with the symbols and map scales. At informal events such as the Summer League the organiser will advise you whether to start on the short or medium course. Child novices should enter as pairs or be accompanied by an adult. Timing is usually by carrying an electronic device (often called a ‘dibber’ or ‘SI card’) which bleeps when put into a timing box at the start, finish and at each control point. A dibber can be hired at the event. Before the start you will clear the old data from the dibber. After finishing you will download the data and receive a list of all your times. It is a rule that you don’t leave the event without downloading even if you retire. The results are sometimes available on the day and normally posted on the internet very soon afterwards. Local events within Leicestershire are informal with just 1 or 2 people organising. These include the summer and winter leagues. They provide 2 or 3 courses, one of which will be short and easy. Regional events have 7 or more courses and require a large number of volunteers. These include the East Midlands League. White, Yellow or Orange courses will be suitable for beginners and advice will be available. National events attract large numbers of competitors and usually have assembly areas with traders and catering available. They have courses specific to each age group as well as courses suitable for beginners. At informal events such as the Summer League the organiser will advise you whether to start on the short or medium course. 1. Fold your map – Fold your map to easily keep track of where you are. Keep your thumb near your position and move if as you move on the ground. 2. Orientate your map – Hold your map so the features in front of you on the ground are in front of you on the map. Each time you change direction change your grip on the map so that the map is still lined up with the features around you. A compass can be used to line up the north lines on the map with the red end of the compass needle. 4. Check your control description – Read the control description list to know what you are looking for. Check that the code number of the list matches the number on the control box. 5. Have fun. Orienteering should always be fun and enjoyable! The initial skills to develop are familiarity with reading the map symbols, estimating distances and handling a compass. 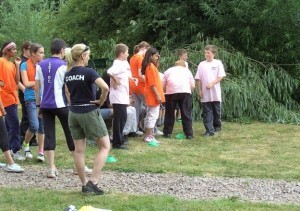 See also Orienteering Skills for more advice on developing your skills. For children and adults Monday club nights at South Charnwood High School, Markfield are a good place to learn and practice these skills. Club nights include sessions on skill training as well as fitness which might suit older beginners. See Club & Activity Night details page. The club coaches are always pleased to advise beginners and improvers. The main principle for beginners to remember is to take part in a spirit of fairness and consideration for the enjoyment of others. Do not distract others concentration at the start or whilst competing. Do not hinder other competitors particularly near control points or give away their positions by shouting. Do not inconvenience members of the public. Orienteering depends on keeping the goodwill of landowners. Do not put this at risk by damaging crops, fences or walls; by going out of bounds; or by leaving litter. No dogs unless it has been specifically stated on the pre-event notice. The MOST IMPORTANT safety rule is that all competitors must report to the Download point, even if retiring, or did not start your course. You can read the full rules of the sport on the British Orienteering website. You do not need to be a member of the club to compete at an event. But there are advantages in club membership, if you orienteer regularly, you get to know and learn from other orienteers and arrange to share transport. There are other activities such as club nights and socials. Help is always needed in putting on events, and many orienteers enjoy being part of an ‘on-the-day’ team helping put on events. Clubs generally cover geographical areas within which they organise events. Leicestershire Orienteering Club covers all Leicestershire, Rutland and parts of Northamptonshire. The abbreviation the club is known by nationally is LEI. If you are a Junior or parent of a junior then also have a look at our Junior Welcome Sheet too.